The Virtual Ability community hosts an annual professional conference on topics of interest related to mental health and wellness. 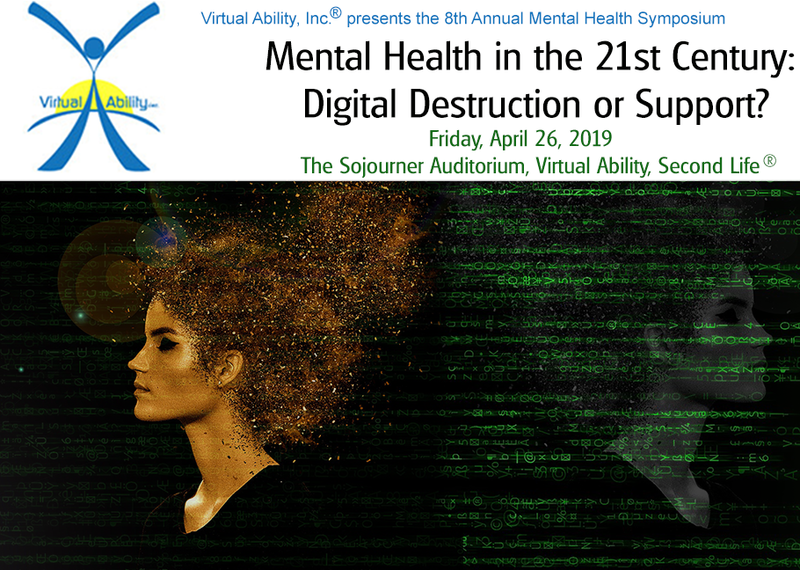 The theme of this year's Mental Health Symposium is: "Mental Health in the 21st Century: Digital Destruction or Support?" NOTE: All times listed are Pacific time. The conference sessions will also be streamed live. For additional information on how to join through the stream rather than as a Second Life avatar, please watch this space.